Introducing Hinduism, 2nd Edition is the ideal sourcebook for those seeking a comprehensive overview of the Hindu tradition. This second edition includes substantial treatments of Tantra, South India, and women, as well as expanded discussions of yoga, Vedanta and contemporary configurations of Hinduism in the West. Its lively presentation features: case studies, photographs, and scenarios that invite the reader into the lived world of Hinduism; introductory summaries, key points, discussion questions, and recommended reading lists at the end of each chapter; narrative summaries of the great epics and other renowned Hindu myths and lucid explanations of complex Indian philosophical teachings, including Sankhya and Kashmir Saivism; and a glossary, timeline, and pronunciation guide for an enhanced learning experience. This volume is an invaluable resource for students in need of an introduction to the key tenets and diverse practice of Hinduism, past and present. 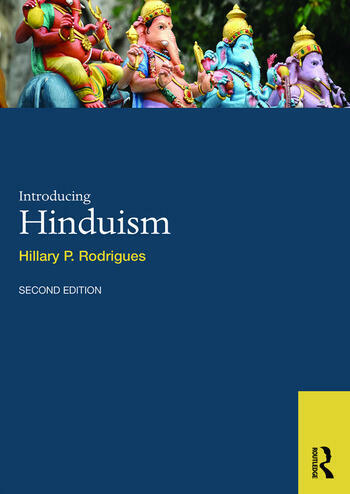 Hillary P. Rodrigues is Professor of Religious Studies at the University of Lethbridge, Canada. His many authored and edited works include Studying Hinduism in Practice (Routledge 2011) and Introduction to the Study of Religion (Routledge 2009).